We’ve covered how to identify pathological hazards by creating a watertightHACCP plan, and if you follow the guidelines correctly you should have no problem with avoiding common hazards and preventing foodborne contaminants from entering your product. However, it’s always good to know your enemy, so in this series we’ll cover some of the most common biological foodborne pathogens and the illnesses they cause. This first entry will deal with Listeria. No, not what you gargle after brushing your teeth (at least we hope not), but a rather nasty bacteria that can cause all sorts of problems in the human body. The Listeria genus of bacteria contains 15 species, with many subspecies, and it was named after the British pioneer of sterile surgery Joseph Lister in 1940. 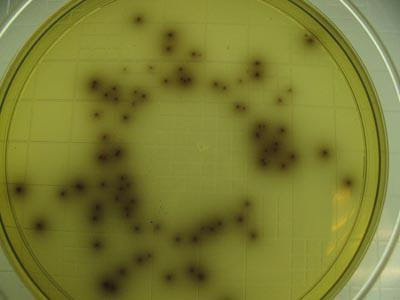 The major human pathogen in the Listeria genus is L. monocytogenes, which can cause the relatively rare but quite serious bacterial disease listeriosis when eaten with food contaminated with it. The Listeria species are be found in soil, water, and some animals and animal products such as meat and milk. 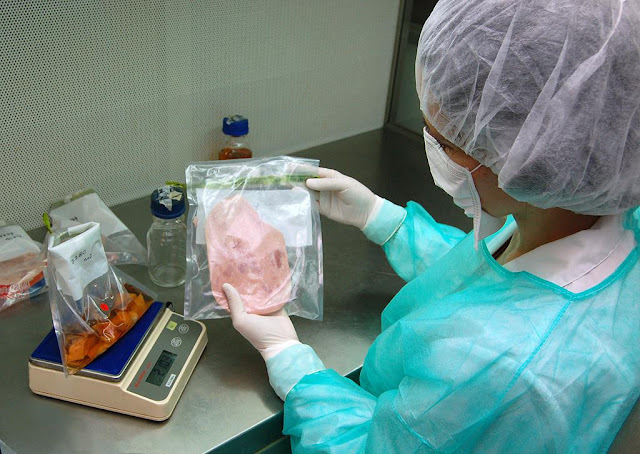 The bacteria can be quite good at colonising food processing plants that have not followed adequatesanitation procedures, meaning processed meat can often be affected. The majority of the bacteria are dealt with by the human immune system before they are able to cause infection. However, if they manage to avoid it and get inside the human cells, they hide out there, invulnerable to the body’s circulating immune factors. This is when they begin spreading. Listeria are rod-shaped bacteria, and they can can hijack the interior mechanisms of infected cells to build themselves small comet tails that can propel them to the cell membrane. At the membrane, they form little filopodia that stick out of it until they meet and are engulfed by another cell, spreading the infection. Once the infection spreads enough during its incubation period, which can take anywhere from 3 to 70 days, an individual is considered to be infected with the disease listeriosis. If the bacteria remain within the digestive tract, the illness is classed as non-invasive, which is not as serious. It causes relatively mild flu-like symptoms such as fever, stiff neck, confusion, weakness, vomiting, and diarrhea, all of which can be treated with over-the-counter medicine. The invasive variation means that the disease has spread to the bloodstream and the central nervous system. Symptoms at this point can become much more severe. Fever, muscle pains, and chills can be much stronger, and in addition, sufferers may experience a severe headache, changes in mental state, seizures, lack of coordination and uncontrollable tremors. If the infection spreads to the brain, it can even cause meningitis. Invasive listeriosis can be treated using high-dose antibiotics and hospital care. Although that may eventually not be an option if antibioticresistance continues to grow. Particular care must be taken for those infected patients with vulnerable immune systems. This includes pregnant women, who are 20 times more likely to be infected by the bacteria, with devastating consequences for the fetus. So given the nasty nature of this bacteria, how should food processing plants deal with the hazard of Listeria contamination? The hazard should be listed in your HACCPplan, and control measures implemented around two main procedures. To avoid transmission, make sure that all surfaces are regularly sterilised, with ethanol an effective sanitizer against the bacteria. Quaternary ammonium can be used along with the ethanol as a food-contact safe sanitizer with increased duration of the sanitizing action. Once food reaches the home, it should be properly refrigerated, below 4°C (39°F) , to discourage bacterial growth. Since listeria can continue growing in even very cold temperatures, make sure to finish it off by cooking any food to at least 73°C (165°F). The importance of this prevention process is not to be underestimated. Listeria has been responsible for 4 of the 5 deadliest foodborne bacterial outbreaks worldwide, including the two deadliest in US history, which were from cheese and cantaloupes respectively. Overall, Listeria is a nasty genus of bacteria that, thankfully, can be exterminated if proper hygiene procedures are followed. Make sure you wash your cantaloupes to avoid Listeria hysteria!